Custom wall stickers. Design it Yourself. APPLY it Yourself. In 4 easy steps you can design and apply your own custom wall stickers. We can supply you with 3 different types of bespoke wall stickers to perfectly fit with your business and/or personal needs. 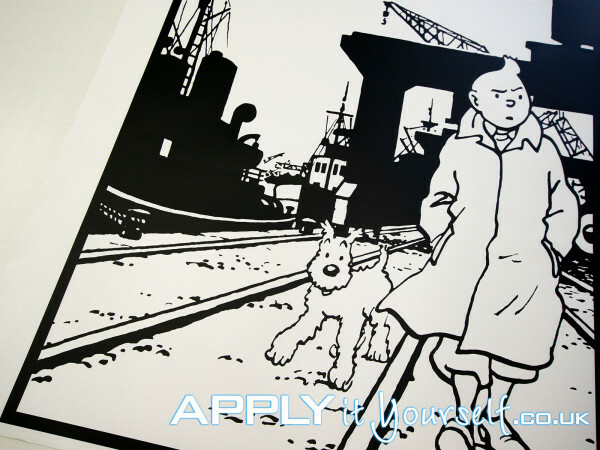 (A) bespoke wall murals will be printed on a beautiful luxurious woven sticky textile. (B) bespoke wall stickers will be printed on vinyl, which can be laminated with either a mat or gloss laminate for additional UV/scratch/chemical protection. (C) bespoke wall decals. 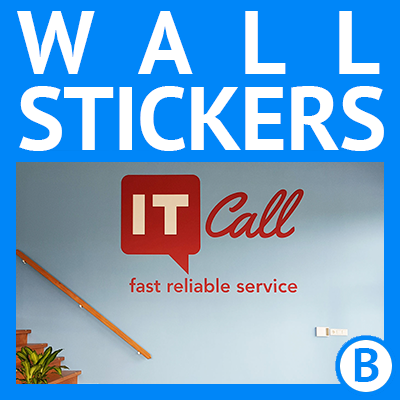 Cut-to-shape coloured vinyl wall decals. Design it Yourself. 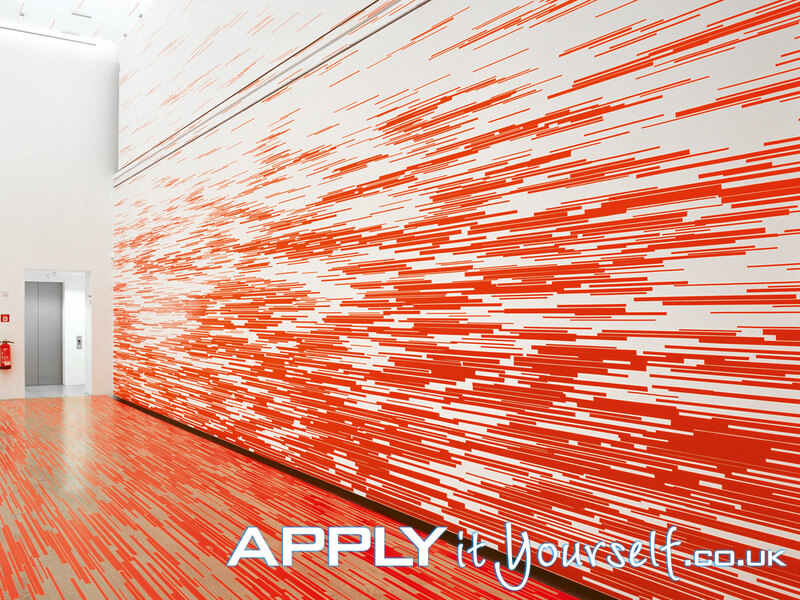 Design your own custom wall mural. Quick and easy with our online designer. Or upload your own design. Your design will be printed on a beautiful luxurious woven sticky textile. Custom wall murals are highly weather, water and UV resistant. Giving you long durability. Providing you with years of enjoyment. Also available in a repositionable variant. APPLY it Yourself. No tools required. Just use your hands. 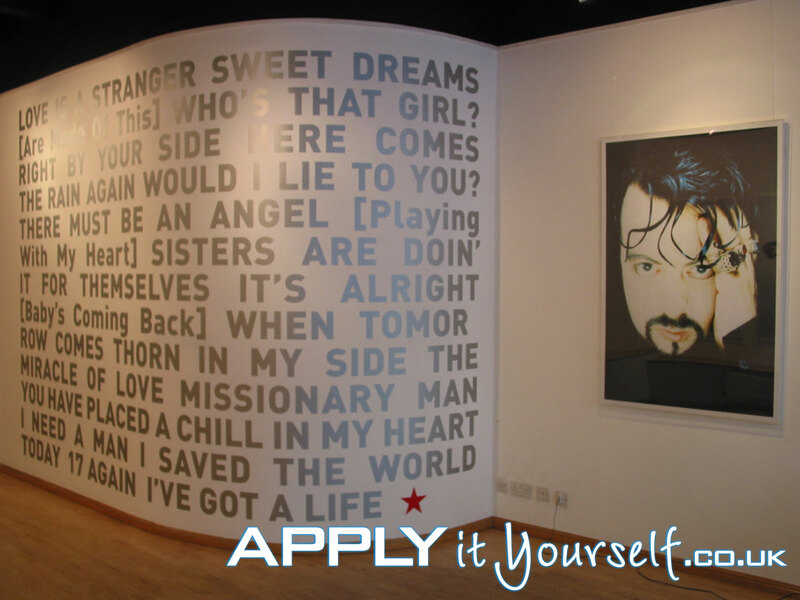 Thus, your bespoke wall mural is very easy to install yourself. Design it Yourself. 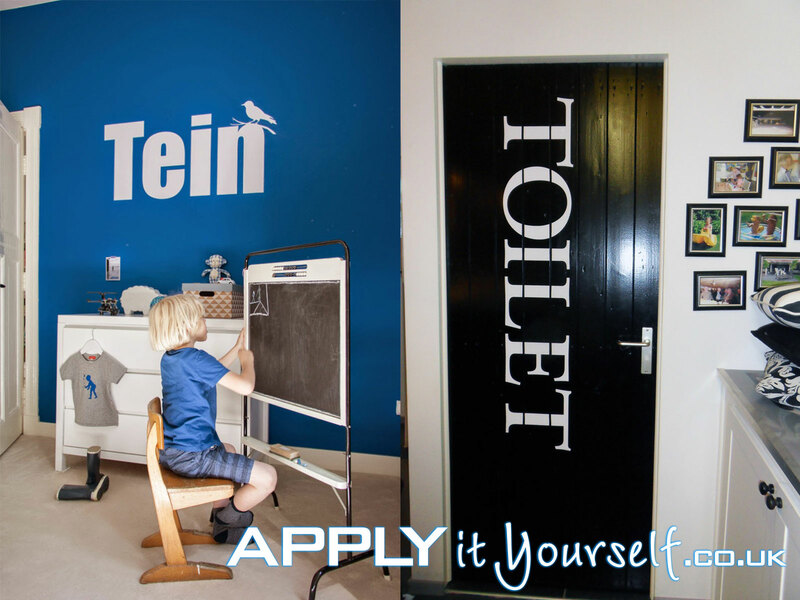 Design your own bespoke wall sticker. Quick and easy online with our designer. Or upload your own design. Your design will be printed on a high quality professional vinyl. Your custom wall sticker can be laminated, with either a mat or gloss laminate, for extra UV and scratch protection. Wall stickers are suitable for long-term outdoor use. APPLY it Yourself. Your custom wall sticker will arrive pre-assembled with transfer-tape and with a free squeegee. Ready for application. Design it Yourself. 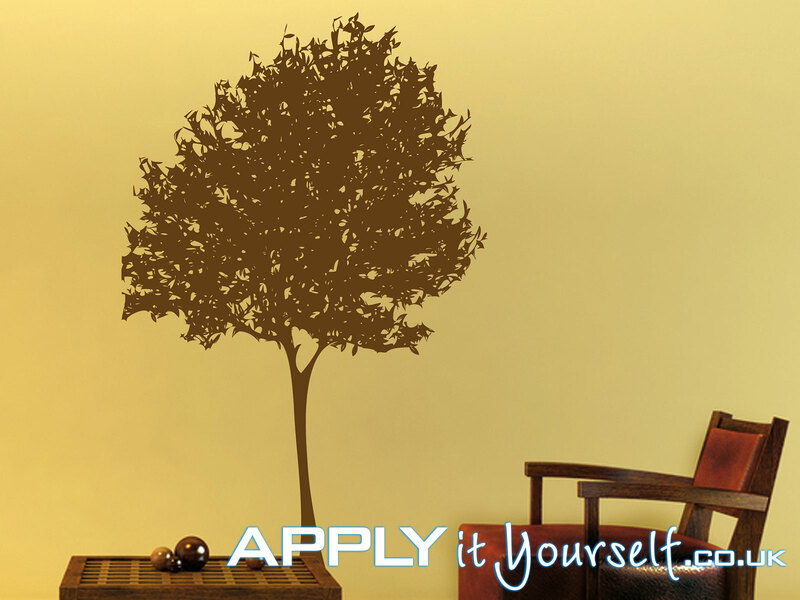 Design your own unique wall decal. Quick and easy with our online designer. Or upload your own wal decal design. Your design will be cut out of professional high quality long outdoor durability vinyl. 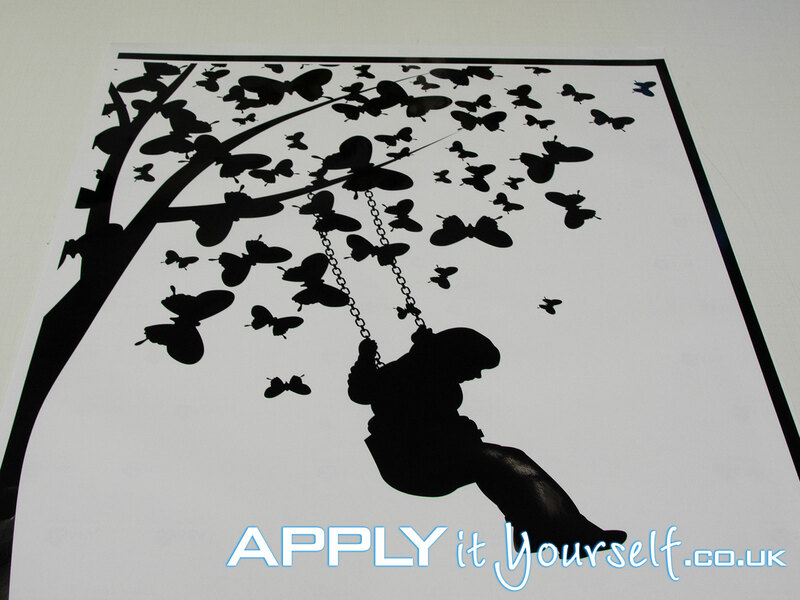 Thus your custom cut-to-shape wall decal is also suitable for long-term outdoor use. APPLY it Yourself. 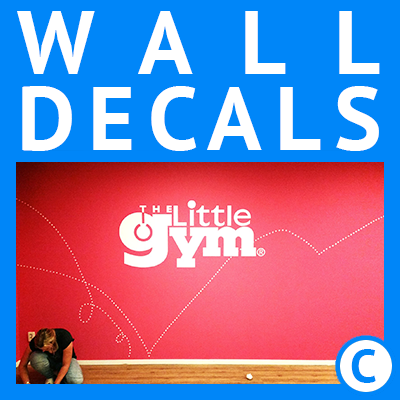 Your bespoke cut-to-shape wall decal will arrive pre-assembled with transfer-tape and with a free squeegee. And arrive in a study box, ready for application. 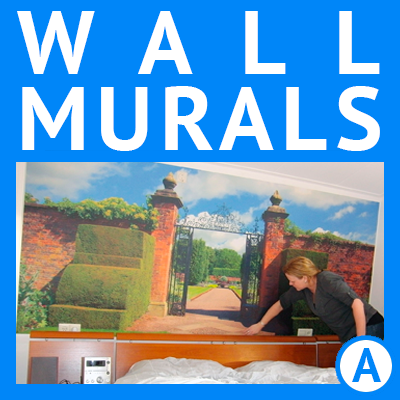 If you are looking for non-rectangular (i.e., cut-to-shape) wall murals and/or wall stickers. Or for large size wall mural/wall sticker/wall decals. Or you require a large number of wall murals/stickers/decals. Please contact directly by email with your wishes, designs and dimensions. Below you will find a large number of photos of custom wall stickers that will hopefully inspire you while designing your own custom wall stickers.